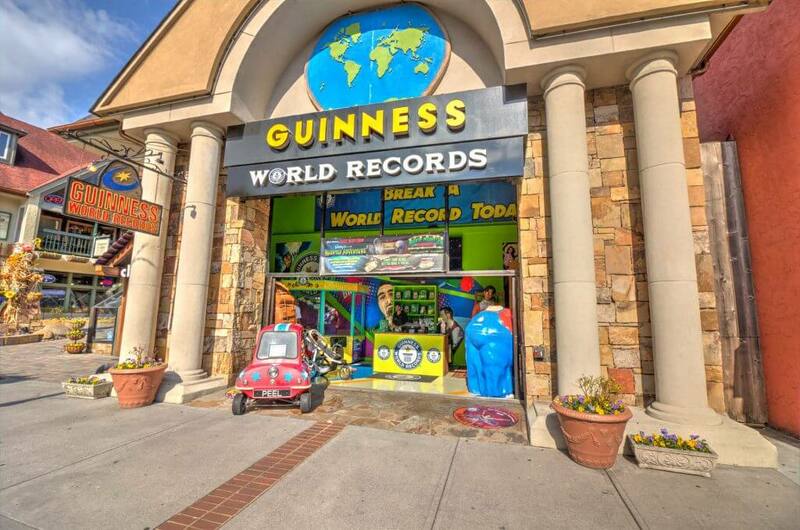 Gatlinburg Attractions: Guiness Book of World Records Museum - Bear Camp Cabin Rentals. Hundreds of exhibits from the best selling Guinness Book of World Records are on display at this museum, as well as many items from Elvis, Princess Diana, and Houdini. Other features of the museum include 12 spectacular shows, interactive computers, and famous memorabilia that include the Batmobile and items from the Beatles. The Guinness World of Records Museum features hundreds of astounding exhibits from the famous Guinness Book of World Records and the new Guinness Prime-time TV Show. There is an incredible line-up of feats, facts and records in an amazing display of unparalleled fun. Dramatic recreations come to life at the all new and expanded edition of Guinness World of Records. Go deep into a cave to see natural wonders, board the Ark with Noah and the animals, come to the circus to meet unusual people. Witness breathtaking wonders of nature. See authentic memorabilia from celebrity record holders like the famous Elvis “Hound Dog” boat. Compare your height to the tallest man. See the most expensive car. And, for generations of “Batman” fans, The Batmobile, the most famous TV car, rests in the Bat Cave at Guinness. All are designed to amaze, astound, delight and enlighten. Everything you see has really happened. SEE ALL NEW DISPLAYS AND SHOWS!